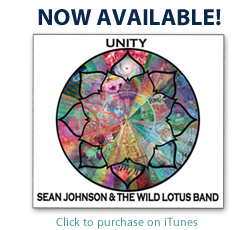 It’d be easy to dismiss Sean Johnson and the Wild Lotus Band as music solely for the yoga world. Though it’s rooted in the Indian kirtan genre with Sanskrit-sung mantras (often with call-and-response) and traditional instrumentation like the aura-inducing harmonium and the fretless dotar, it’s also apparent that the group would rather stretch beyond the paradigm than be confined by it. 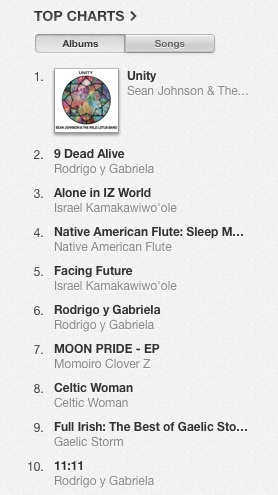 Nine of the 10 tracks are originals and all have carefully crafted, densely-layered arrangements. There’s a fair bit of diversity as well, such as the Nashville country picking of “The Man in Blue” and the symphonic horn intro-outro on “I Will Rise Again” being prime examples. On “Peace Song,” Gwendolyn Colman plays atypical instruments like the kalimba (African thumb piano) and the berimbau (Brazilian single-stringed bowed percussive instrument) to add to the symbolism of various world cultures chanting messages of peace in different languages. Now and then a melodious bass solo emerges that almost takes off into jazz. Unlike the nonexistent harmonies of traditional kirtan music, uplifting harmonies are also incorporated into the mix. Similarly, the proceedings are rife with ideas with the anthemic title track tying it all together. A poem from the Sufi mystic Rumi and a mantra are sung before Johnson raps in English about how unity is really universal, regardless of heritage or ethnicity. It wouldn’t be over the top to dub Unity as a soul-cleansing listen but if nothing else, it’s a beautiful sonic collage to get lost in. Read full article here. I never realized the oneness of all divine names until last night. I think I probably honored that truth intellectually, but had never tasted it. I would sing or repeat one mantra at a time only, avoiding “mixing and matching,” trying to focus on the experience of Krishna’s name, or Hanuman’s, etc. For me, this album is as important as KD’s Pilgrim Heartor Jai’s Shiva Station, expanding and deepening the vision of modern kirtan music. In this increasingly interconnected world, we can no longer afford to think that one name of God is higher than another, otherwise we inadvertently judge our neighbors. Of course we have our favorites and love them dearly, but the truth must come out: there is only one God, called by so many names, and if concepts about God get in my way I will just remember, “It’s about love.” Read full article here. 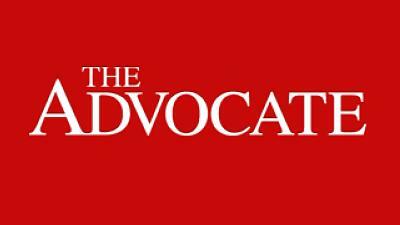 In the intimate setting of the New Orleans Healing Center, performers from diverse faiths and cultures will gather Saturday for the Sacred Music Festival — a celebration that incorporates music, chanting and ceremonies. “With so much tension and division … we want to help celebrate the connection, the universal thread that we all have as human beings,” said Sean Johnson, co-founder of the Sacred Music Festival and vocalist and harmonium player for Sean Johnson and the Wild Lotus Band. The festival offers a rare opportunity to experience Tibetan Buddhist chants and dance, spoken word poetry, medieval hymns, Japanese Shinto drumming, cantorial prayer, spirituals, blues, gospel, the Muslim call to prayer, mantra music and, for the first time this year, Sufi music. Steering away from the feeling of being stuck in church, many of the performances are interactive and educational, teaching people about faiths and cultures they are otherwise never exposed to. Kirtan music, for example, has deep roots in the practice of yoga in India. “The practice of Kirtan is really designed to help people open up their hearts and sing through any numbness and dullness that they may feel inside themselves,” Johnson said. The Wild Lotus Band takes Kirtan music and the traditional mantras — a word or sound repeated to aid meditation — and blends that with genres such as rock, gospel and folk music. With each mantra or song, lasting for about 15 to 20 minutes, Kirtan music is designed to be interactive and participatory. “It is a really electrifying feeling when everybody is singing along and participating. It takes it to a whole other level, and it becomes less of a performance and more of an actual visceral experience,” Johnson said. Read the full article here. I fell in love with kirtan late in my practice. It was within the expansive studio of the Santa Barbara Yoga Center, not long after Hurricane Katrina. Sean Johnson and the Wild Lotus Band were touring to raise funds to rebuild their hometown when then they sang, played, chanted, and raised the proverbial roof. For me, the combination of an earthy, jazz-influenced sound, rhythms from New Orleans, and devotion to both music and mantra demonstrated by Sean Johnson, drummer and vocalist Gwendolyn Colman, and bassist and guitarist Alvin Young, was—and remains—transcendent. This is a Sunday-morning gospel-tinged soundtrack for the revival of this century. Merging mantra, frame drum, and world music melodies and rhythms, this is a must-have for your kirtan library. Read original article here. 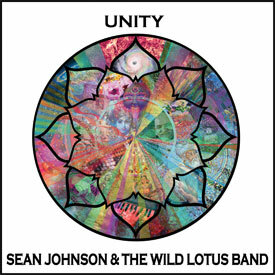 Sean Johnson and The Wild Lotus Band’s third release, Unity features red-hot jams with uplifting mantras, and messages straight out of their hometown of New Orleans. Each of the 10 tracks holds a unique space. 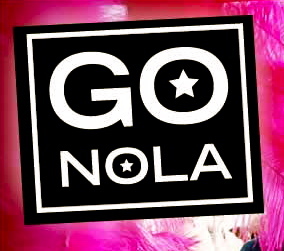 The combination of talent, with singer/percussionist Gwendolyn Colman and bassist/guitarist Alvin Young, is synergistic. The first track, “Ganesha’s Belly Dance,” is a hypnotic invocation to remove obstacles. It wouldn’t be out of place in a film noir, filmed in a faraway place. The Sufi-esque “Nur Allah Nur” begins with Gwendolyn’s sublime voice chanting in Arabic, then Sanskrit. Sean joins her with some Hebrew, and the magic is made. “Remember” is bass heavy pop with a mix of Sanskrit and English. “The Man in Blue,” which is a play on Krishna’s blue skin, uses one of my fave instruments—the triangle! I can’t help but smile listening to this piece. There is a delicate balance of light and dark on this record—that’s how my life is too. Hearing this group bust out the songs “Unity” and “Fly Away Home” at Bhakti Fest Midwest was quite a moving experience. There are only three of them in the band! Gwendolyn, how do you play your percussion and drums, while you sing so sweetly and strong? There is so much beauty in their finely crafted music; “Unity” will penetrate your body, mind, and soul. 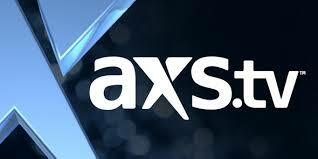 – Debi Buzil Read original article here. “Sean Johnson is a pretty big name in the national yoga community, and he plays yoga and music festivals with his band, which bears the same name as his New Orleans yoga studios. Sean Johnson & the Wild Lotus Band are the first kirtan band to ever play Jazz Fest, and they are the perfect place to start off your Day Two. Read full article here. “Go on a spiritual jazz fest journey with Sean Johnson & The Wild Lotus Band The trio are considered one of the most influential and musically dynamic kirtan artists in the west. A can’t miss for Jazz Fest attendees who appreciate creativity and are looking for a truly transcendent experience.” Read the full article here. 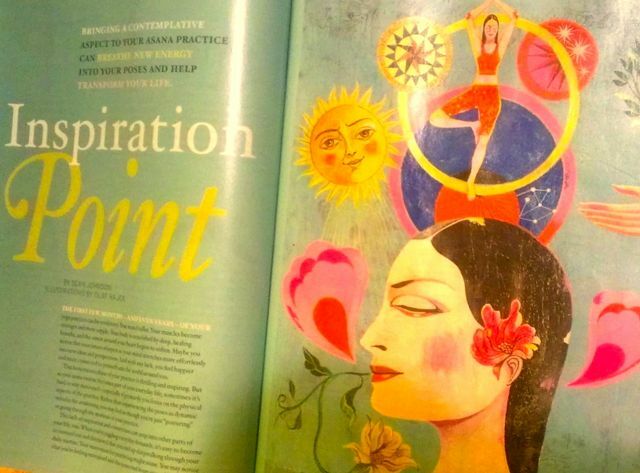 The focus of this article is how to bring more depth and meaning to an asana practice. We’ll post the PDF soon.